Let’s start at the top: haircuts. Cutting curly hair is completely different to straight hair. Depending on the tightness of the curl, hair can spring up a couple of inches when dry, so it’s important to be mindful of the length. For this reason, some stylists prefer to cut hair when dry, so they can effectively see both the length and how each curl falls naturally into place. Others like to cut hair when it’s slightly damp, showing more clearly the curl’s natural pattern or curl family. Some hairdressers also recommend cutting curly hair at a slight angle, working in long layers for a softer, lighter finish, blending curls effortlessly into your client’s finished cut. As curly hair tends to be drier, regular trims are a must to keep ends in good condition. Advise your client to make an appointment every 6-8 weeks to avoid knots and tangles, and to use Oil Reflections Luminous Reboost Mask in between salon visits for a much-needed moisture boost. To help keep curly hair conditioned in between color appointments, advise your clients to try Invigo Nutri-Enrich Deep Nourishing Mask at home. It contains intensely moisturizing vitamin E, perfect for nourishing dry, stressed curls. Create this soft-focus finish by applying Koleston Perfect 20g 9/73 + Welloxon Perfect 20g 12% to the front section of hair, just below the root. Then, mix up Koleston Perfect 20g 7/71 + Welloxon Perfect 20g 9% to blend around the rest of the front, framing the face with glowing highlights. Next, alternate the two formulas and apply them at the ends of hair, leaving every other strand uncolored. Finally, add Koleston Perfect 20g 5/75 + Welloxon Perfect 20g 6% to roots and blend all together with fingertips. To finish with a touch of luminosity, apply a Pure Glossing service post-color with 15g 9/73 + 15g 1.9% + 15g after rinsing out color. 1. Use a wide-tooth comb while hair is wet to detangle and separate curls, preventing breakage and taming them into shape in one sweeping motion. 2. 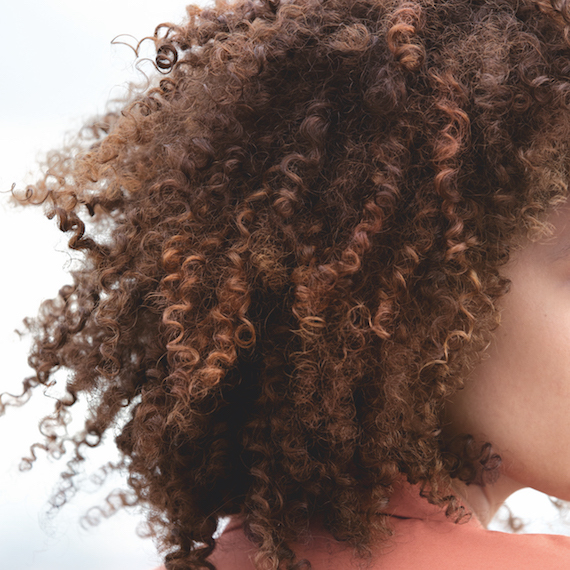 To combat dry curl textures, try co-washing once or twice a week with Oil Reflections Cleansing Conditioner to lightly cleanse without stripping away hair’s natural oils. 3. If hair feels frizzy and unruly by morning, try sleeping on a silk pillowcase. The soft surface stops snagging and breakages, and helps retain moisture. Want more hairspiration? Head to the @WellaHair Instagram for daily color and style updates, or check out the new Wella Pinterest board, where we’re sharing never-seen-before hair hacks and tips.